Our Raw Organic Honey is produced in some of Australians most pure and untouched national forests. Our beehives are carefully placed in isolated areas away from any farms where sprays and pesticides may be used. This honey is certified by Australian Certified Organic. For more information on ACO certifications, please visit www.aco.net.au. We are proud to be 100% Australian made and owned. All our Australian Products are certified Australian Made and Australian Grown. 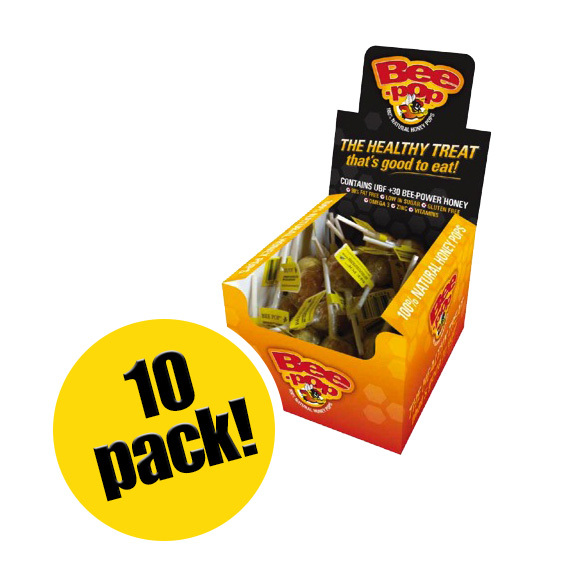 100% Natural and Nutritious Honey Lollipops! Loved by kids and adults alike our Honey Bee-pops are a healthy lolly alternative that also soothes the throat and provides vitamins and minerals to help aid colds and flus.